Emma Jaster is a... well she is what she is. She grew up performing with her mime father, Mark Jaster and went on to study physical theatre at the Lecoq school in Paris, then clown with Dody DiSanto and Christopher Bayes. She returned to the DC area last year after long bouts working abroad- India, Taiwan, Paris, New York and has since had the pleasure of performing with Taffety Punk Theatre Co, Happenstance Theatre, and Faction of Fools, with whom she is happy to be an Associated Artist. And then when she just can't help herself, she builds her own work- dance, theatre, puppetry, clown, or some undefined cross-section of it all. 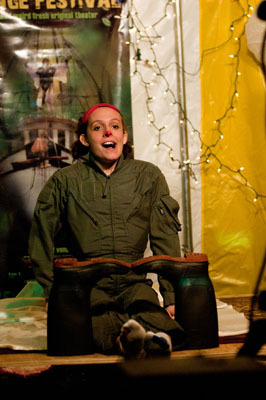 Anna Fitzgerald is a puppeteer, clown and actor living in Baltimore, MD. She began her training in theater at the Baltimore School For the Arts. Many years later, she studied clowning at the Clown Conservatory and began learning puppetry as part of Liebe Wetzel's Lunatique Fantastique in San Francisco, CA. 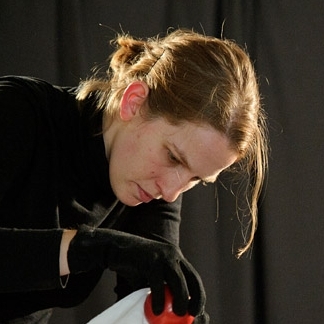 She is a founding member of the UnSaddestFactory Theater Company and intends to spend her life sharing stories with humor and helping adults find their imagination again through puppetry. Paul, the puppet performing with her today, says he is French, but we don't believe him. Z Smith lives and performs in Baltimore, MD. She has been performing and writing clown material for 10 years, and has performed in Europe, Mexico, and across the United States. 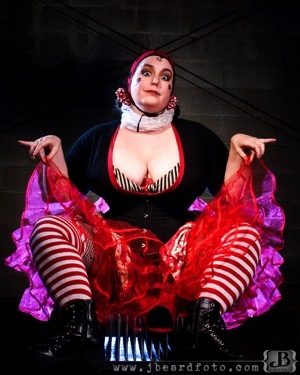 After graduating in 2002 from the Baltimore School for the Arts she completed her studies with 2 years at the San Francisco Clown Conservatory. For several years she performed with Circus Finelli in San Francisco and is now excited to be in the Baltimore arts scene again. Gregory May began performing professionally in 1990 when he joined the Ringling Brothers Barnum and Bailey Circus. He toured North America for three years before returning home to Maryland. Since then, he has performed up and down the East Coast in over 3000 school shows, public and private events, and local television and radio spots. 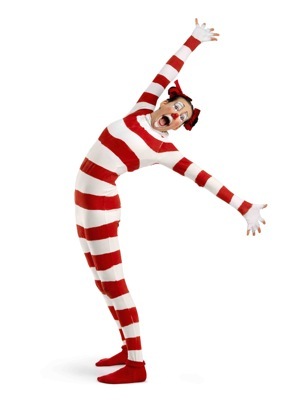 He has performed on the Late Show with David Letterman, in seven national commercials, on the White House lawn with Shari Lewis, in professional musical theaters in Columbia and Baltimore, MD, and for hundreds of children at the John’s Hopkins Children’s Hospital as a member of the Big Apple Circus Clown Care team. He has also taught circus skills and physical comedy at state and national high school theater festivals and has worked as a circus skills coach for Imagination Stage and the Kennedy Center in Washington, DC. He is also the director of the Greenbelt Youth Circus in Greenbelt, MD. 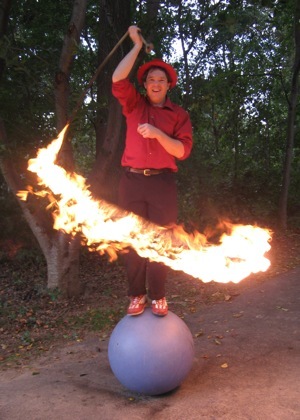 His skills include: 5-object juggling, 6-foot unicycling, stilt walking, rolling globe walking, slack wire walking, fire and machete juggling, whip cracking, rope spinning, acrobatics, guitar and much more.